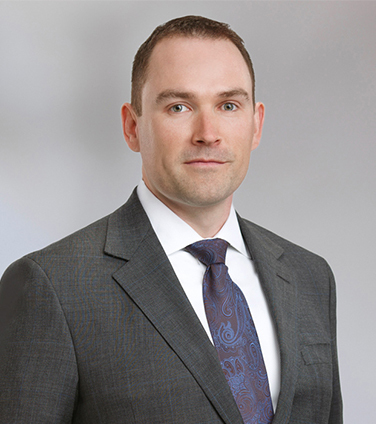 Sander specializes in environmental, regulatory and Aboriginal law issues for natural resource developers. He has experience with matters before the National Energy Board, the Alberta Energy Regulator (and its predecessor the Energy Resources Conservation Board), the Ontario Energy Board, the British Columbia Environmental Assessment Office, the Alberta Utilities Commission, the Northwest Territories Office of the Regulator of Oil and Gas Operations and federal -provincial Environmental Assessment Joint Review Panels. Sander also has experience with regulatory, environmental and Aboriginal matters before the Alberta Court of Queen’s Bench, the Alberta Court of Appeal, the Federal Court of Canada, the Federal Court of Appeal and The Supreme Court of Canada. The subject matter of Sander’s recent regulatory work includes oil and natural gas pipelines, oil sands (both mining and in situ), LNG export, offshore drilling, hydro-electric generation, mining (including coal, metal, potash and diamonds), natural gas processing, electricity transmission and contaminated lands. He also regularly advises clients on their obligations to Aboriginal groups and negotiates impact benefit agreements with Aboriginal groups on behalf of resource developers. Prosper Petroleum Limited in its approved Rigel Oil Sands Project. TransCanada PipeLines Limited with regard to various regulatory applications for its NOVA Gas Transmission Ltd. and Mainline natural gas pipeline systems, including facilities applications for hundreds of kilometers of pipeline extensions and expansions in British Columbia, Alberta and Ontario (including the North Montney Mainline, Towerbirch Expansion, 2017 NGTL System Expansion, Vaughan Mainline and King’s North Connection projects), contested tolling applications (including the Dawn Long Term Fixed Price and 2018-2020 Mainline Tolls applications) and the Peace River Mainline Abandonment application, which was the first large-scale pipeline abandonment application in the history of the National Energy Board. Each of these applications involved public hearings before the National Energy Board. Kinder Morgan Canada with regard to regulatory and tolling approvals for the Trans Mountain Expansion Project, which will transport 890,000 bbl/d of petroleum products from Edmonton, Alberta to the west coast of Canada. Syndicate of underwriters co-led by Scotia Capital Inc. CIBC World Markets Inc., RBC Dominion Securities Inc. and TD Securities Inc. in the $300 million public offering of preferred shares of Kinder Morgan Canada Limited. Syndicate of underwriters co-led by TD Securities Inc. and RBC Dominion Securities Inc. in the $1.75 billion initial public offering of Kinder Morgan Canada Limited. Teck Resources Limited with regard to its $14.5 billion Frontier oil sands project north of Fort McMurray, Alberta, including a public hearing before the Alberta Energy Regulator for its 2012/2013 winter oil sands exploration program. Parkland Fuel Corporation with regard to its participation in the Ontario Energy Board’s Generic Proceeding on Community Expansion, which involved a public hearing before the Ontario Energy Board. Inter Pipeline Ltd. with regard to a regulatory appeal of an Alberta Energy Regulator decision to deny approvals for a pipeline watercourse crossing mitigation project. TransCanada PipeLines Limited with regard to its proposed 650-kilometre Coastal GasLink natural gas pipeline from the Groundbirch area of British Columbia to Kitmat on the west coast, including an environmental assessment before the BC Environmental Assessment Office. Brion Energy Corporation (formerly Dover Operating Corp.) with regard to its 250,000 bbl/d Dover Commercial Project, a proposed steam-assisted gravity drainage oil sands project north of Fort McMurray, Alberta. This project included a public hearing before the Alberta Energy Regulator. Shell Canada Limited with regard to its 100,000 bbl/d expansion of the Jackpine oil sands mine near Fort McMurray, Alberta, including a public hearing before a Joint Federal-Provincial Review Panel. Chevron Canada Limited with their submissions and participation in the National Energy Board’s Arctic Offshore Drilling Review to determine future filing requirements to drill in the Canadian Arctic offshore. KM LNG Operating General Partnership and Apache Canada Ltd. in an application to the National Energy Board for approval to export LNG from British Columbia to the Asia Pacific region, which included a public hearing before the National Energy Board. Nalcor Energy with regard to its 3,074 MW Lower Churchill Hydroelectric Project and 1,100 kilometre Labrador-Island Transmission Link in Newfoundland and Labrador, including 45 days of public hearings before a Joint Federal-Provincial Review Panel. Quicksilver Resources Canada with regard to its proposed Discovery LNG project in Campbell River, British Columbia, including proceedings before the National Energy Board to obtain an export licence. Hydro One Networks Inc. in an application to the Ontario Energy Board for approvals to grant expropriation authorization to Ontario’s largest electric transmission company in order to allow construction and development of an approximately 300 km 500 kV transmission line. Alderon Iron Ore Corp. with regard to its Kami iron ore mine near Labrador City in Western Labrador, including provincial and federal environmental assessments. Chambers Canada: Canada's Leading Lawyers for Business, 2019: Associates to Watch, Energy: Provincial Regulatory & Litigation (Alberta). The New Federal Impact Assessment Act: Practical Implications for Proponents of Resource Project, presented to the Canadian Bar Association, June 4, 2018. Environmental Impact Assessment Law from the Proponent’s Perspective, University of Calgary Law School, February 2018 (Guest Lecture). Species at Risk Law from the Proponent’s Perspective, University of Calgary Law School, March 2017 (Guest Lecture). Best Practices for Managing Interjurisdictional Issues, presented at The Canadian Institute's Environmental Law & Regulation in Alberta Conference, Calgary, Alberta, June 22, 2016. Environmental Impact Assessment Law from the Project Proponent’s Perspective, University of Calgary Law School, February 2016 (Guest Lecture). Provincial and Municipal Jurisdiction over Federal Pipelines, presented at the Canadian Institute’s Environmental Law & Regulation in Alberta Conference, Calgary, Alberta, June 3, 2015. Aboriginal Law Overview, Practical Applications & Hot Topics, co-presented with Michelle Forrieter (Cenovus), Canadian Energy Law Foundation Fundamentals Conference, Banff, Alberta, March 5, 2015. Prospects for LNG in Canada: Environmental Regulation, Royalty Schemes, and Broader Environmental Goals, debate with Matt Horne of the Pembina Institute, Canadian Association of Environmental Law Societies Conference, Calgary, Alberta, February 13, 2015. AER Update: Understanding Regulatory Appeals, presented to the Canadian Bar Association, November 13, 2014. Regulatory and Aboriginal Issues Facing the Pipeline Industry, presented to the Canadian Bar Association, June 5, 2014. Transportation and Environmental Regulatory Considerations for LNG Projects, presented at the Association of International Petroleum Negotiators, Canada LNG Seminar, Calgary, Alberta, September 10, 2013. Regulatory Requirements and Considerations for Coal Projects in Western Canada, presented at Coaltrans West Coast Conference, Las Vegas, USA, June 14, 2013. Understanding Changes to the Fisheries Act, the Species at Risk Act and the Navigable Waters Protection Act, presented at the Canadian Institute’s Environmental Law & Regulation in Alberta Conference, The Canadian Institute, Calgary, Alberta, June 6, 2013. CEAA 2012: Specific Issues for Industry, presented at the Canadian Bar Association, Calgary, Alberta, March 4, 2013. The New Dawn: Commercial and Regulatory Considerations Affecting LNG Export from BC, co-presented with Janice Buckingham, David Holub (Apache) and Laura Letourneau (Apache), Canadian Energy Law Foundation conference, Jasper, Alberta, June 14, 2012. Coalbed Methane and Produced Water in Alberta, presented at the Canadian Bar Association’s National Environmental, Energy and Resources Law Summit, Banff, Alberta, April 7, 2011. Preliminary Strategies for Managing Aboriginal Risks, iComply for Mining in Canada, September 2012. Managing Produced Water from Coalbed Methane Operations: A Critical Examination of Alberta’s Regulatory Framework, Eco-bulletin, August 2010.